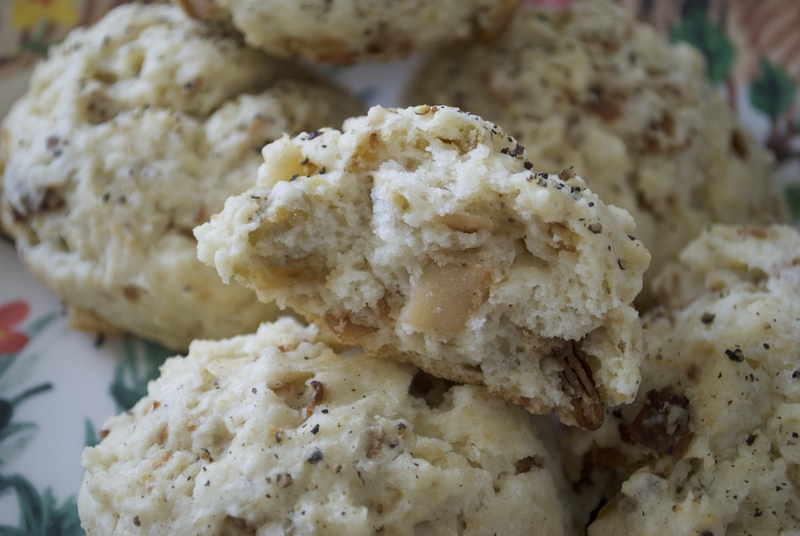 Vegan Bleu Cheese & Bacon Biscuit. Dudes. Today I have a totally awesome biscuit for y’all. I’m proud to say it’s totally on point and worth tracking down or ordering the ingredients to make. The secret is the White Lily flour. I’ve found that it’s perfect for making biscuits fluffy. The flavors are savory, buttery and balanced in this puffy little masterpiece. Preheat the oven to 400°F. Line a baking sheet with Silpat or parchment paper. In a medium mixing bowl, mix together the flour, baking powder, salt and pinch of black pepper. Use a pastry whisk to mix in the Earth Balance until the fat is in pea sized crumbs. In a small bowl, add the almond milk and apple cider vinegar. Set it aside for a few minutes to curdle. This will serve as a non-dairy buttermilk. In another separate small bowl (sorry for so many bowls), combine the crumbled bleu cheese and the dressing. Toss with a fork a few times. Add the bleu cheese mixture and the coconut bacon to the flour mixture and toss with a fork to combine. Create a well in the center of the flour mixture and pour in the almond milk mixture. Mix with a fork until just combined. Using two tablespoons or my preferred tool, a cookie scoop, and drop mounds of dough about 2 inches apart onto a Silpat or parchment-lined baking sheet. 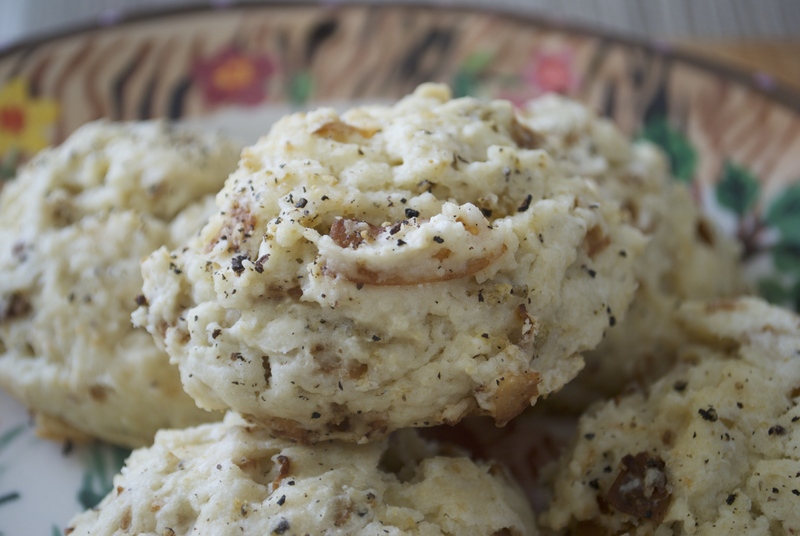 Sprinkle each biscuit with a bit of black pepper. Transfer the baking sheet to the oven and bake for 16-20 minutes or until the sides start to lightly golden. Keep an eye on them— Serve warm and enjoy! ← See These Ice Creams? Mmm love this, looks delicious!